It’s been over a year since my first article here on videolamer, in which I reviewed the PC Action/Strategy/RPG hybrid Mount & Blade. I didn’t mention it in the original review, but good old M&B is still under development. The version I reviewed was somewhere about 0.75; the current version, released just a few days ago, is 0.901. And what changes have come! In .890, there was a major combat overhaul, the addition of three new factions in “vanilla” (the regular, un-modded game), as well as a troop tree for each faction. The game plays better than it ever has before; combat is quick without feeling unnatural, trading remains profitable, and veteran mercenaries are available early on. For those who didn’t read my original review, a quick overview: Mount & Blade is a medieval FPS RPG. It looks like Morrowind (or Oblivion) but rest assured; it plays far more like an FPS. You’ve got troops and companions with you, so the battles play out in largish sides and you have control over yours. A decent variety of weaponry and armor keeps things fresh, too; I’ve played with three completely different character builds in just the most recent versions. Whereas the original Vaegir and Swadian factions only felt different in that Swadians used crossbows (and had a funnier name), each of the new factions feels entirely different. The Nords are Vikings, wielding the axe, javelin and bow while eschewing horses. 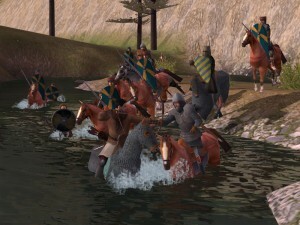 Rhodoks also hate horses, to the point of being the best against cavalry through the use of spears and crossbows. Finally, the Khergits are masters of all horsely things, with lancers and skirmishers alike. For those boring people who hate new things, the Vaegs and Swads are still around, with their silly ideas of balance among troop types. I’ve been playing this game off and on for over a year now, and this is by far the most fun the main game has been. In addition to the new factions, there’s a more varied quest system, in which villages, cities, and nobles can all give randomly generated quests. Village quests tend to be annoying fetch-quests, whereas city quests can occasionally involve crushing bandits and nobleman quests are a mixed bag. Most fun are the more complex quests; occasionally bandits take over a village, and you’ll find a farmer in a nearby tavern who will beg for your aid. 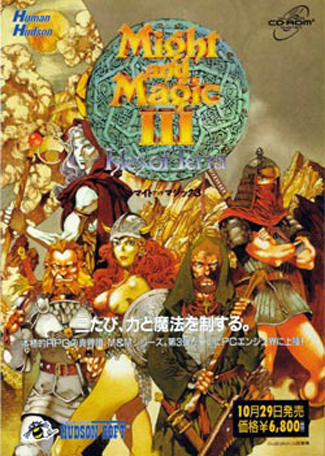 In another, a group of bandits kidnapped a merchant’s daughter, and the local guildmaster sends you to either pay her ransom or defeat the kidnappers. While vanilla is now more fun than it’s been before, I’m really looking forward to some of the mods out there. Oh, sure, there’s Bandit King, where you can set up your own kingdom. That’ll be nice enough for a while. But then there’s more interesting stuff, like the Lord of the Rings mod (which was fantastic but is still stuck in development) or a Three Kingdoms mod. Those are just a few- there are probably dozens in some level of development, some of which are likely to be updated within a week or so. If you haven’t checked M&B out yet, now might be a good time. There’s a demo that gives you a good taste of the game (free until level 6!). The game is now $22, and when it reaches 1.0, it will be $29. I’ve paid more than that for games I didn’t play more than a couple hours, and I would buy M&B again for sure. The main page hasn’t been updated for the new version – try the forums. They’re still working out a couple bugs that I haven’t even found yet before a more public release. It’s a far cry from developers that charge you $40 for a broken game, then spend three months fixing it. This game looks very intriguing… if I end up liking it, you must now do 1 hour of work a day for me so I can fit it into my busy schedule. I definitely recommend giving it a try. Actually, they just came out with version .902 today (check the forums here), which has bug-fixes aplenty and more new stuff. I would not have believed how fun it is to play this game before I tried it, myself.